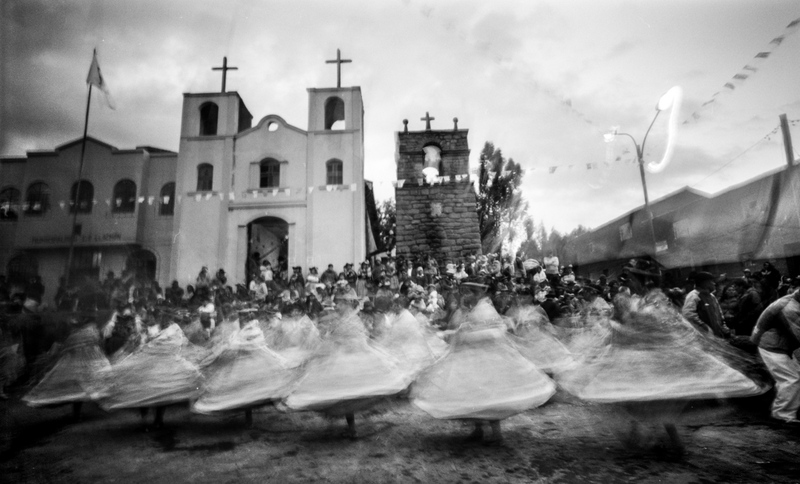 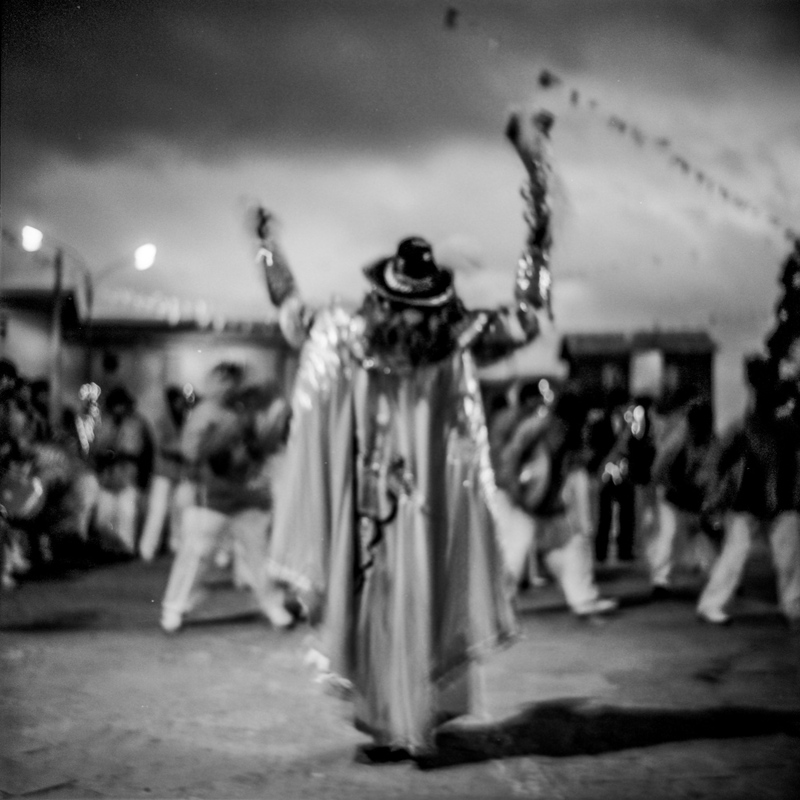 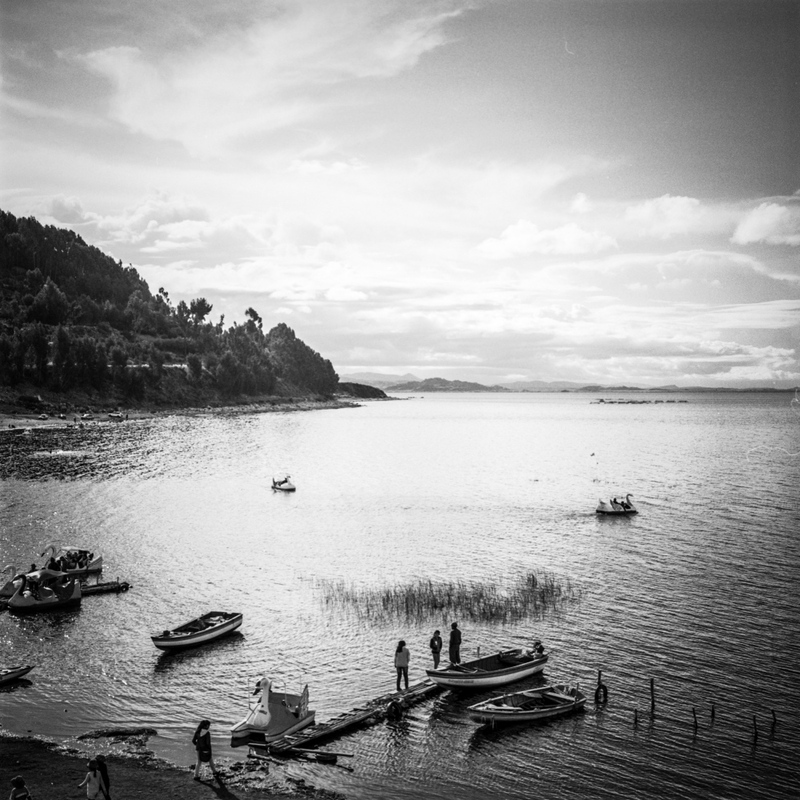 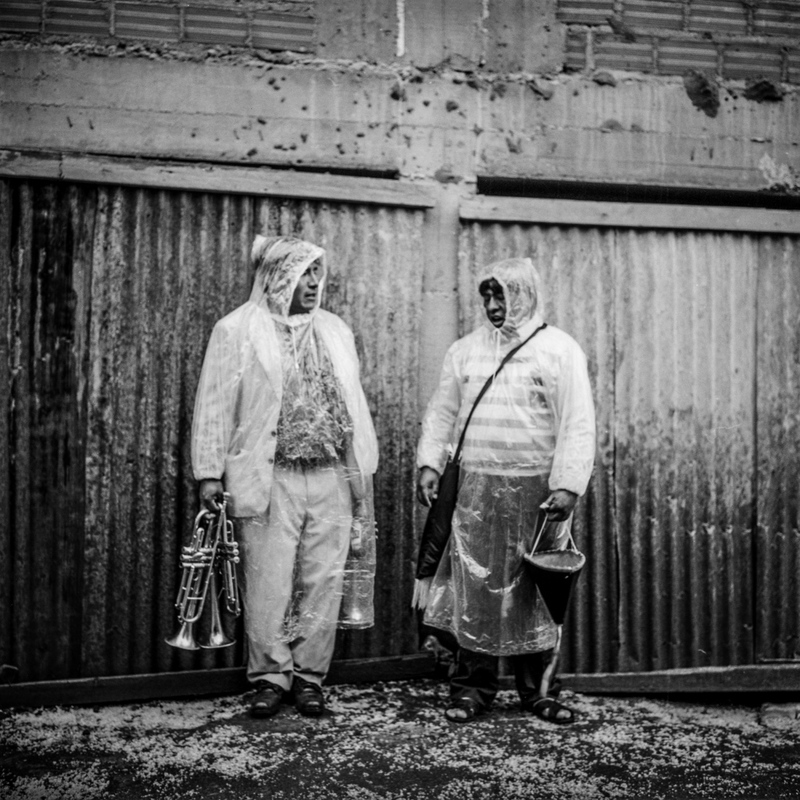 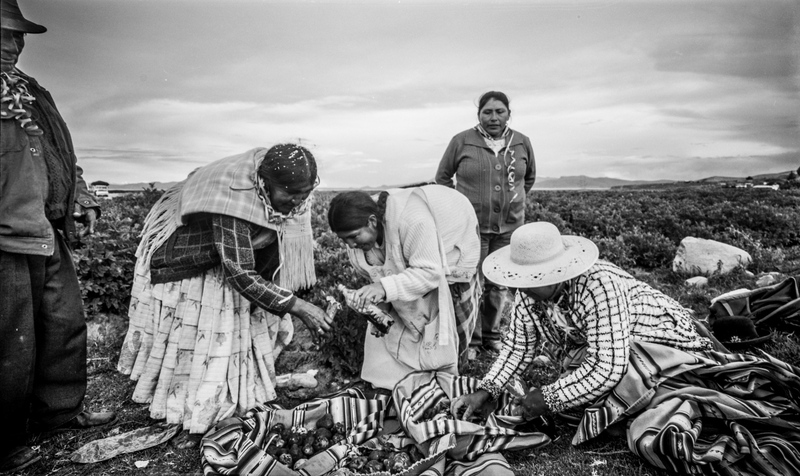 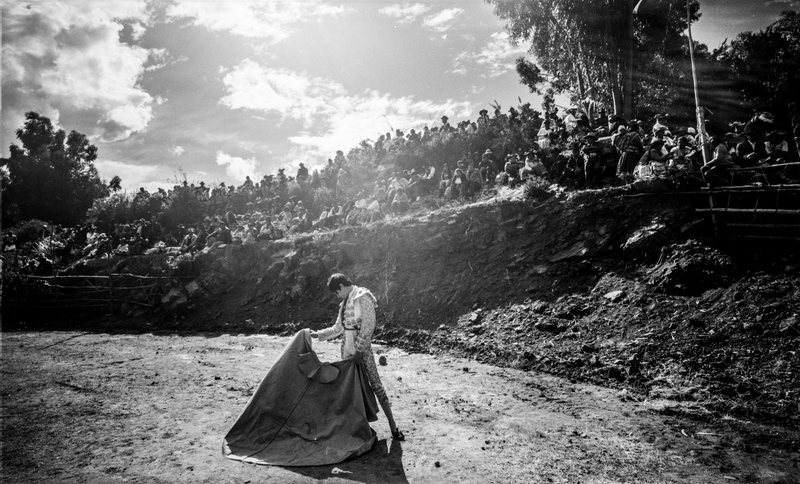 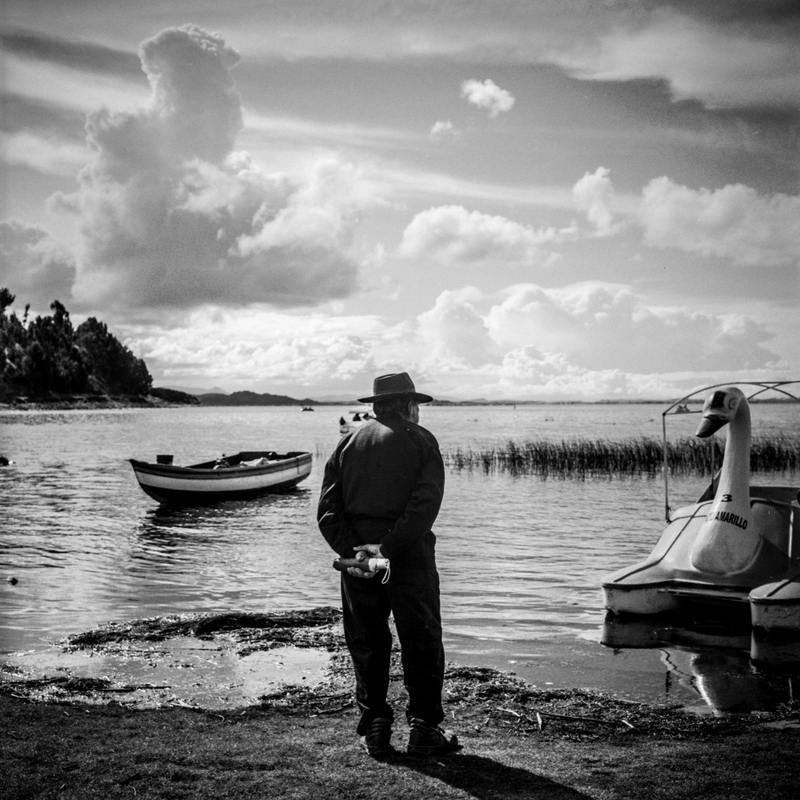 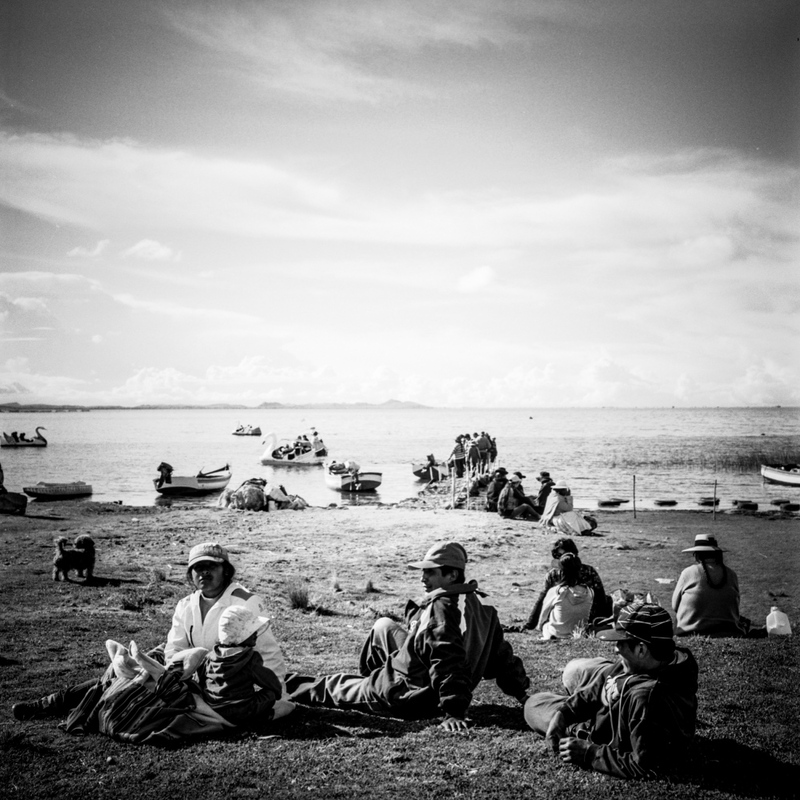 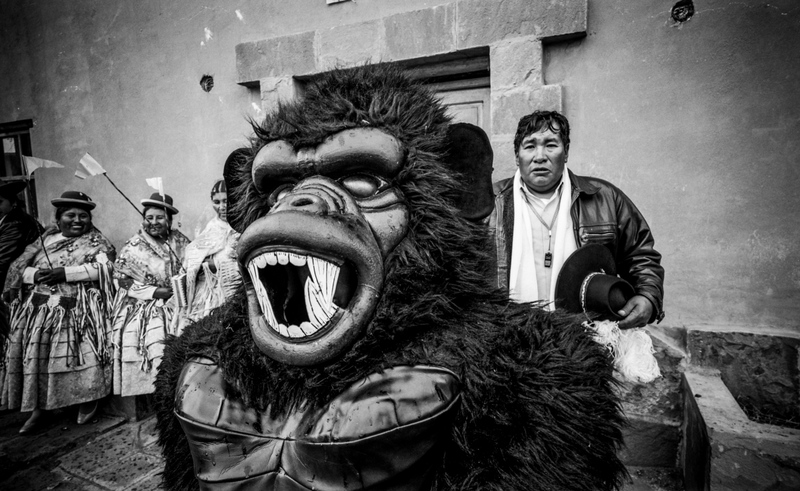 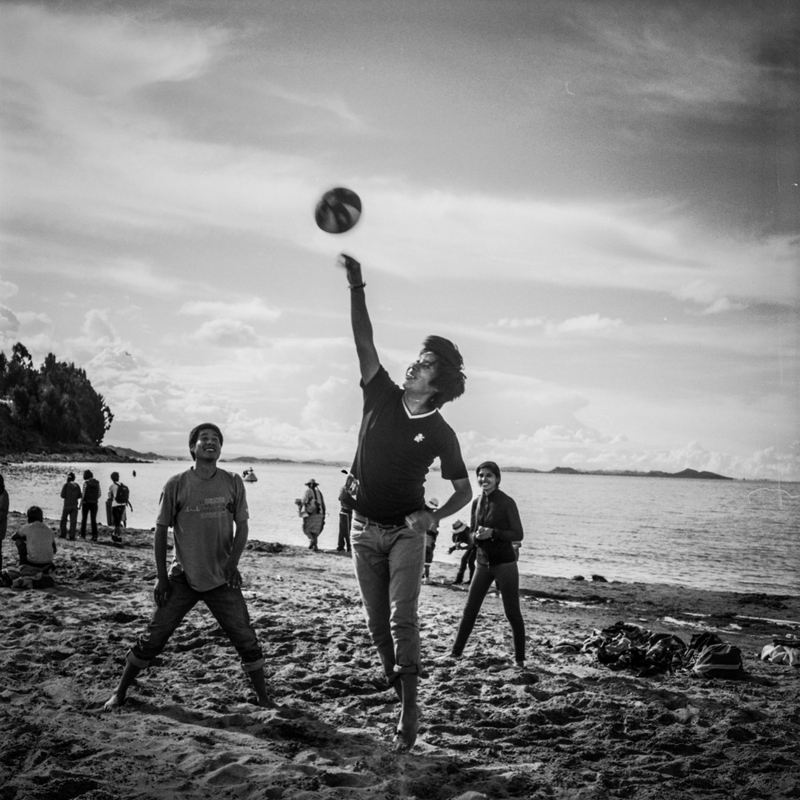 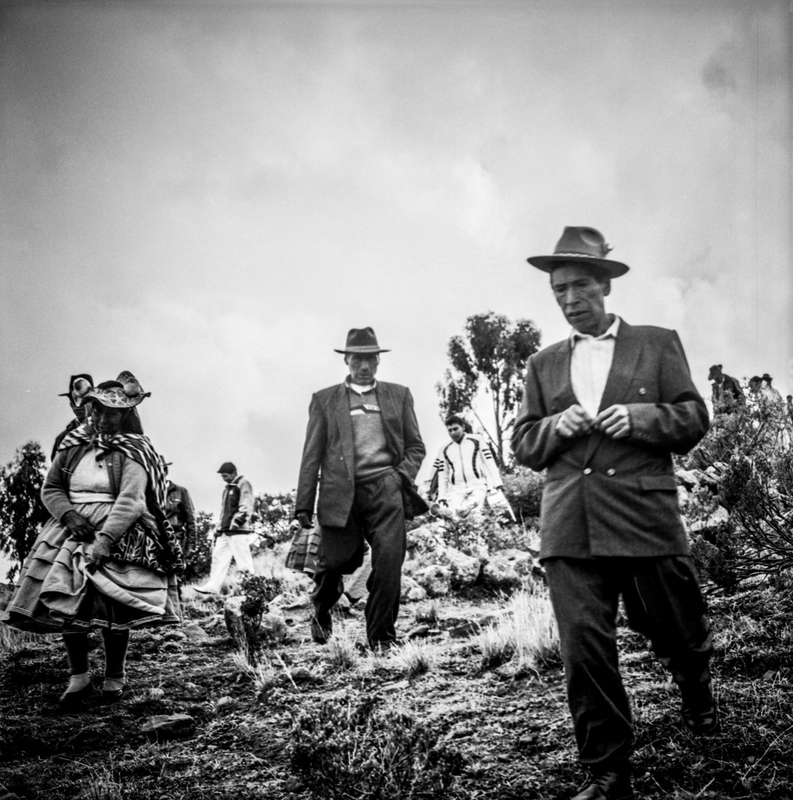 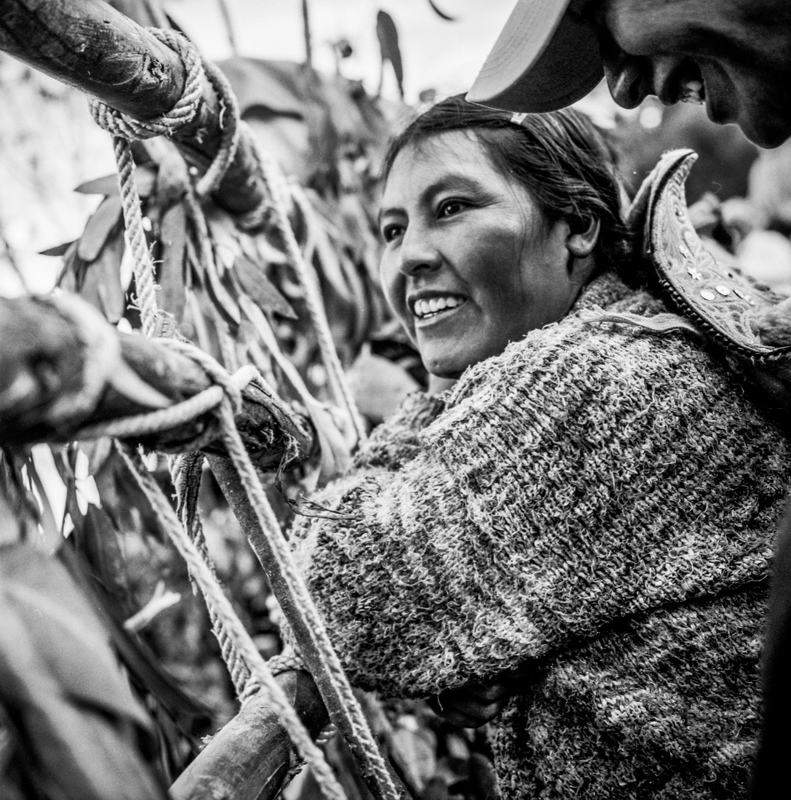 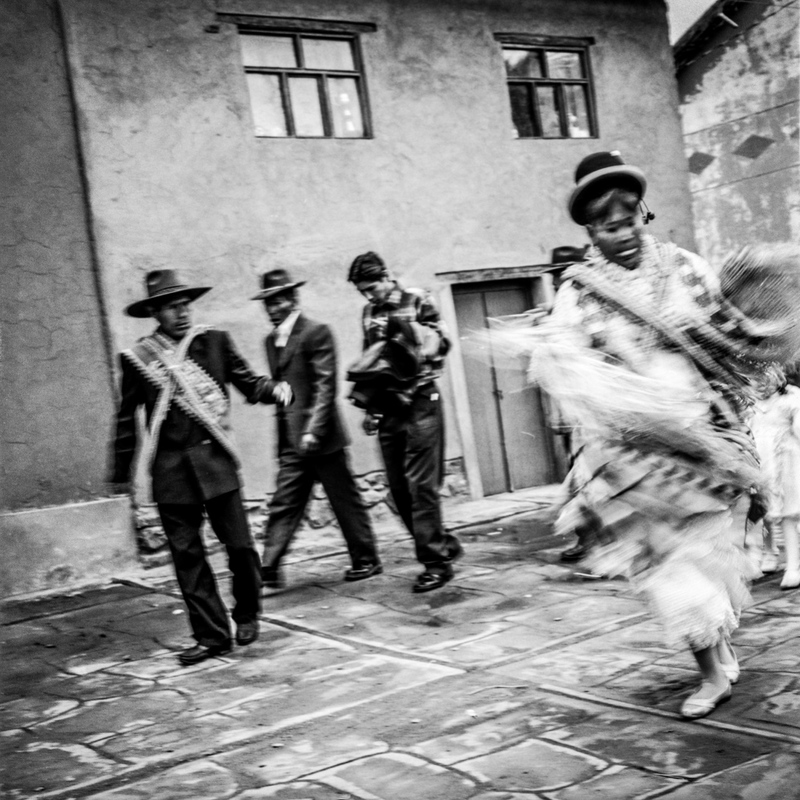 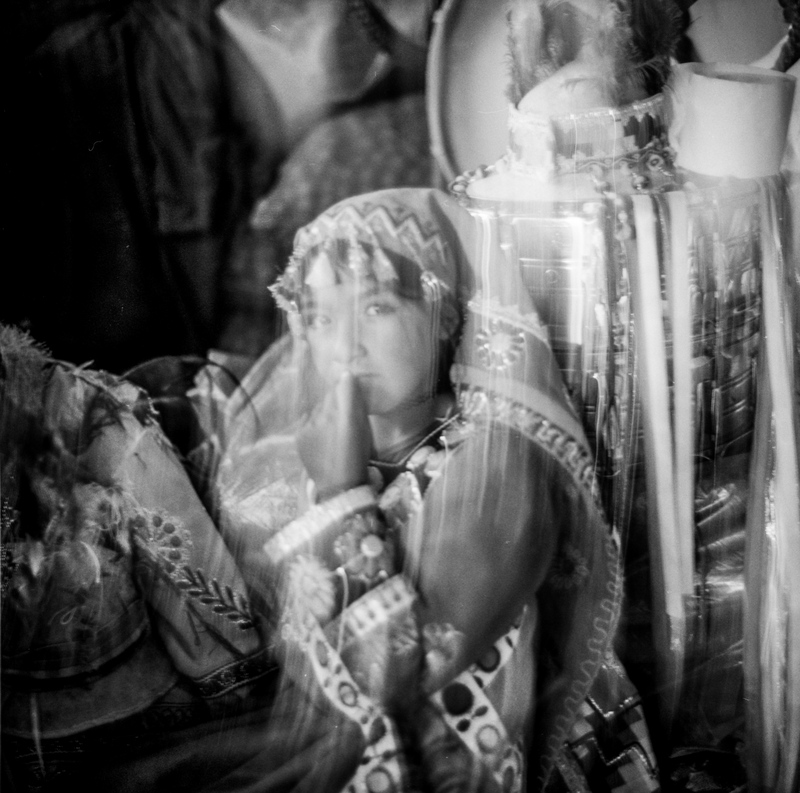 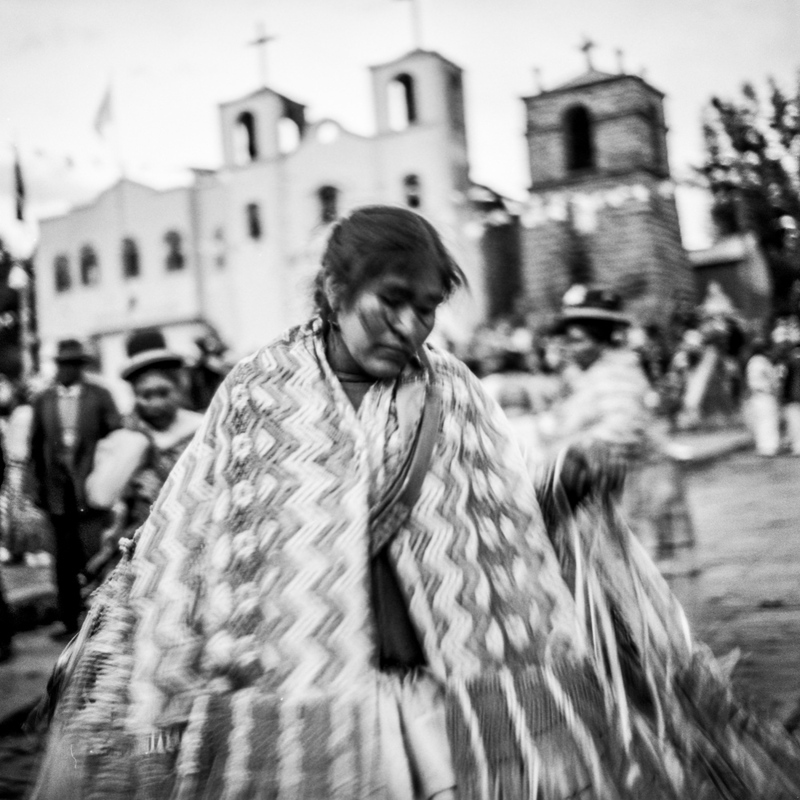 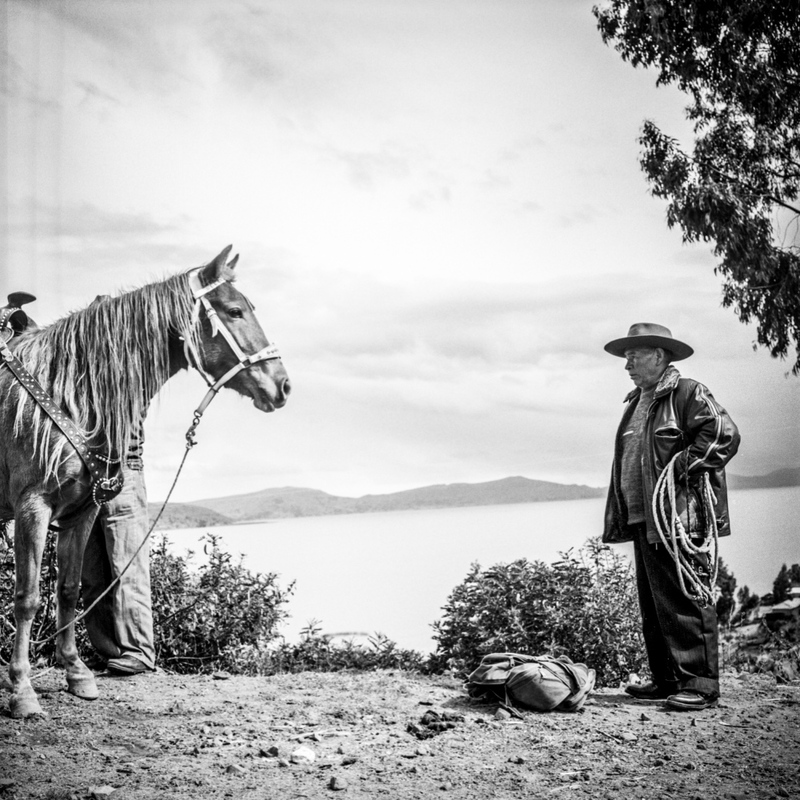 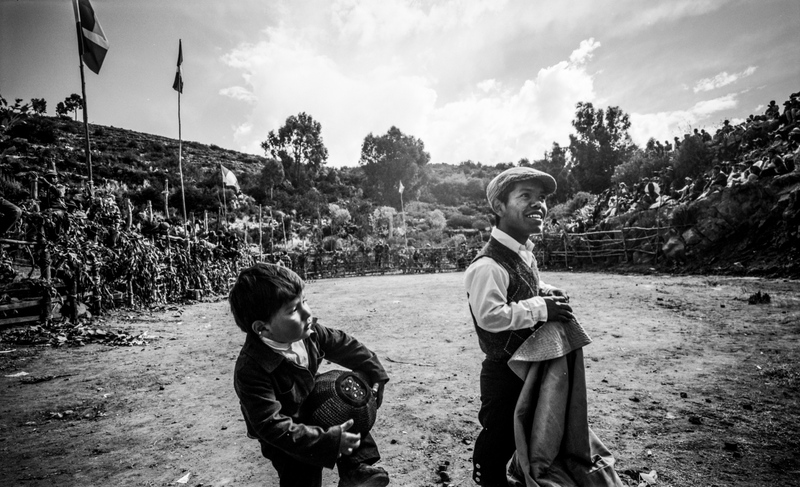 This is a series from my current project documenting festivals, traditions and daily life in towns and communities around Lake Titicaca in Puno, Peru. 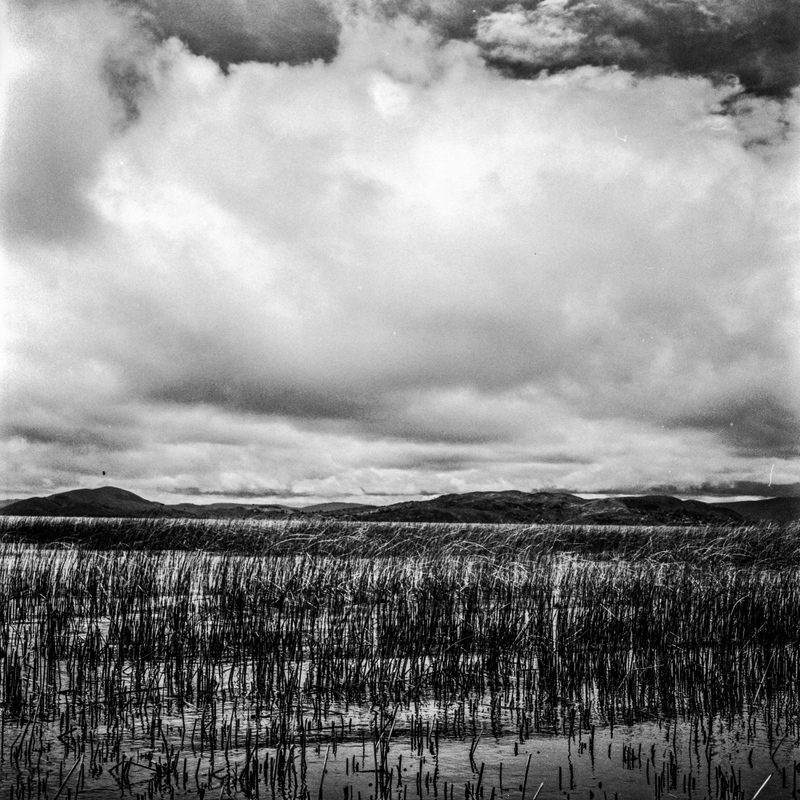 Located in the Andean Altiplano (high plains) between Peru and Bolivia, Layka Qota (‘bewitched water’), now known as Lake Titicaca, is the highest largest navigable lake in the world. 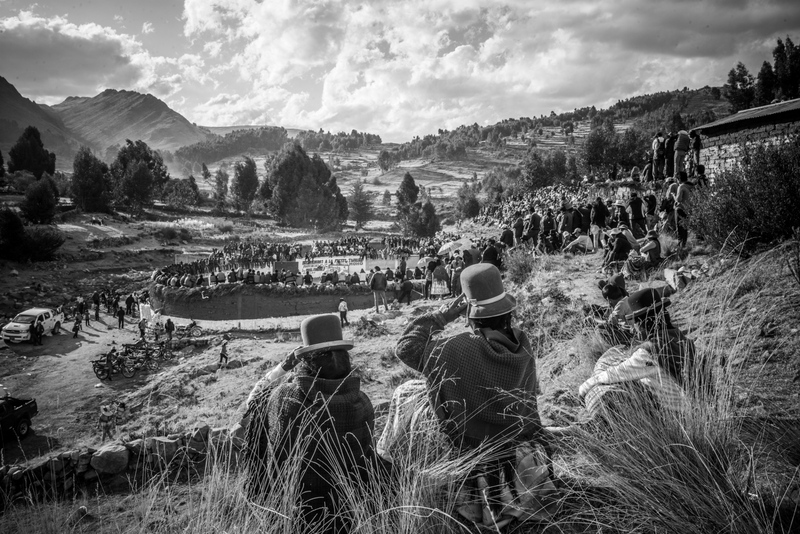 As recounted by the 16th century historian and poet Inca Garcilaso de la Vega, Manco Capac and Mam Ocllo, the children of the sun god, arose from this lake and founded the Inca Empire. 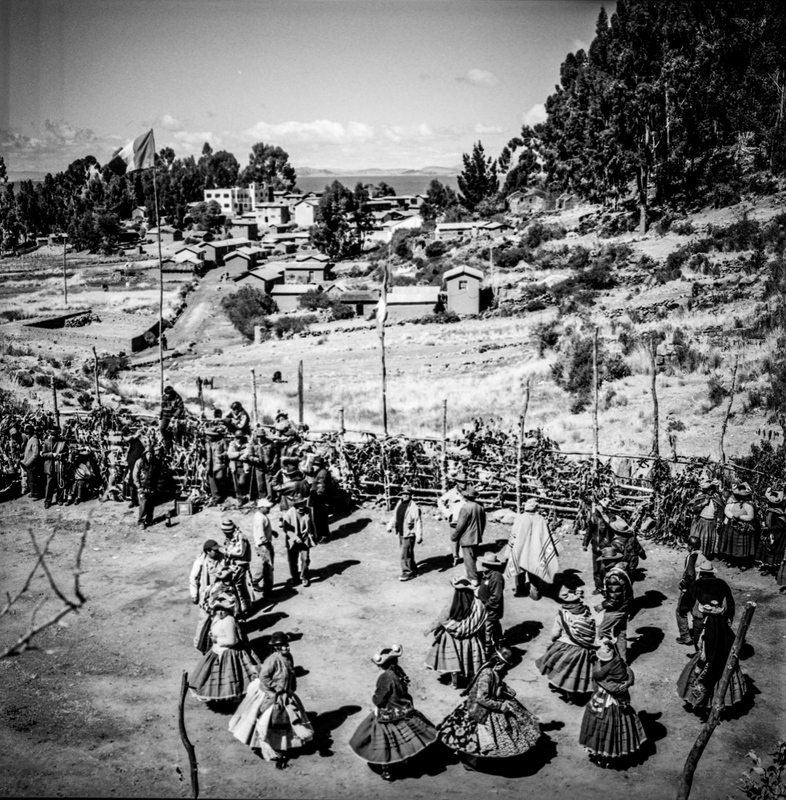 In addition to the quechua-speaking Incas, Puno was, and is, also a point of contact among other igneous groups, including the Aymaras and the Uros. 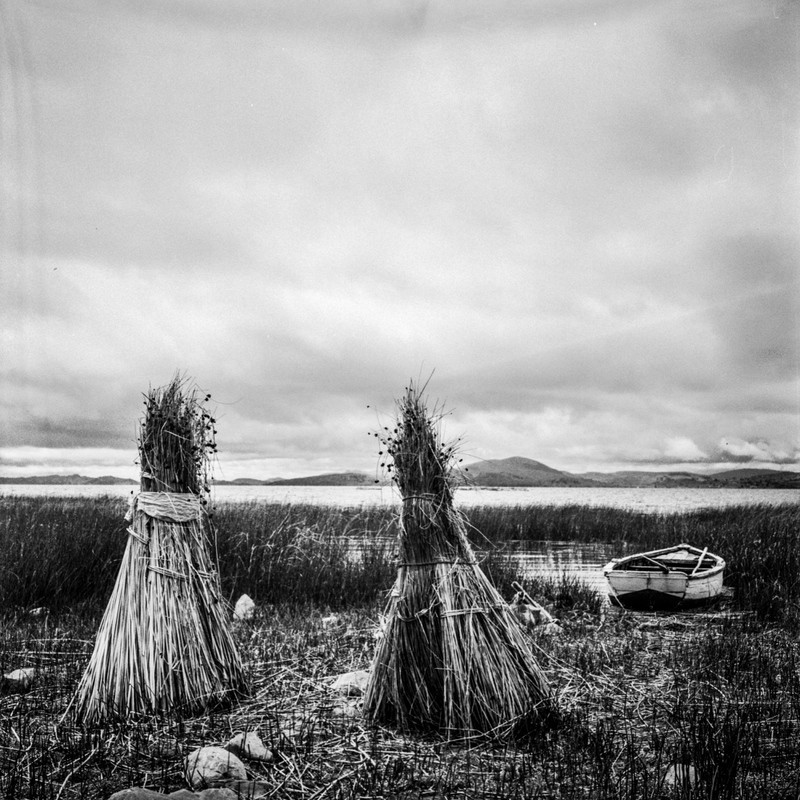 The Peruvian side of the lake lies within the department of Puno, commonly known as the folklore capital of Peru as well as a place with a rich history of both intellectual and artistic movements, and is still a multicultural and multilingual region. 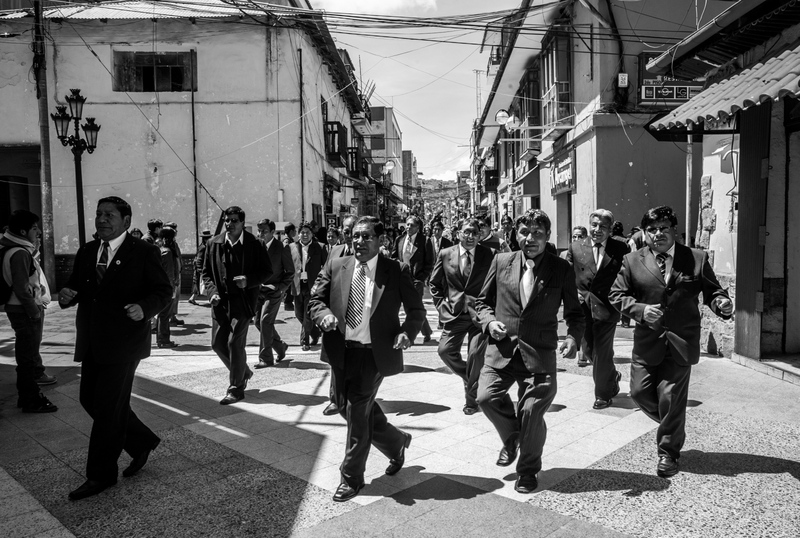 My great great grandfather Carlos was an Italian socialist anarchist, who emigrated to Puno in the late 1800's. 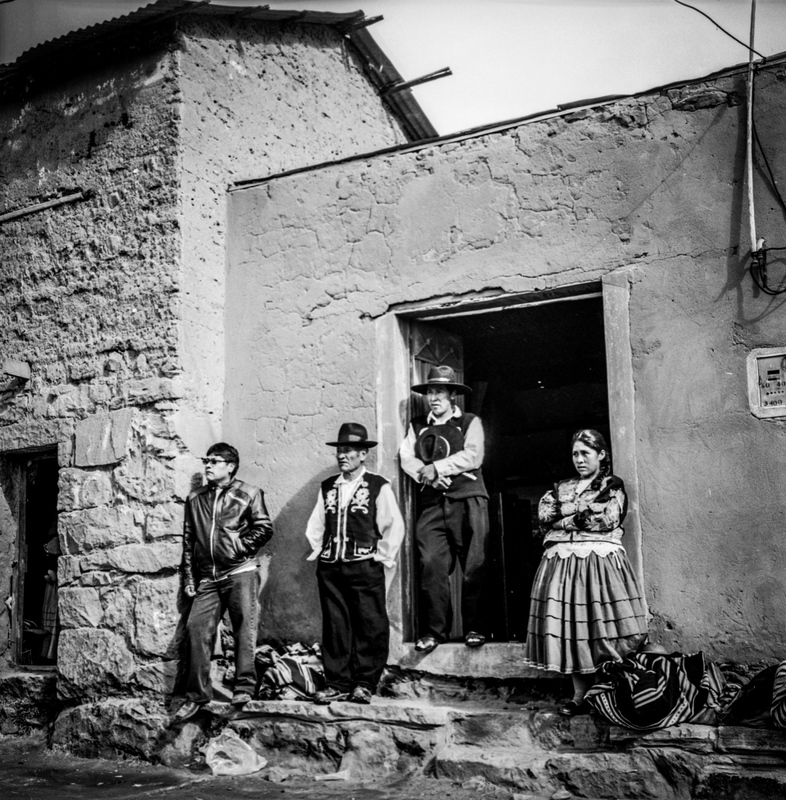 Carlos spoke Spanish, Aymara and Quechua and he became deeply integrated in the multilingual intellectual and artistic communities of Puno. 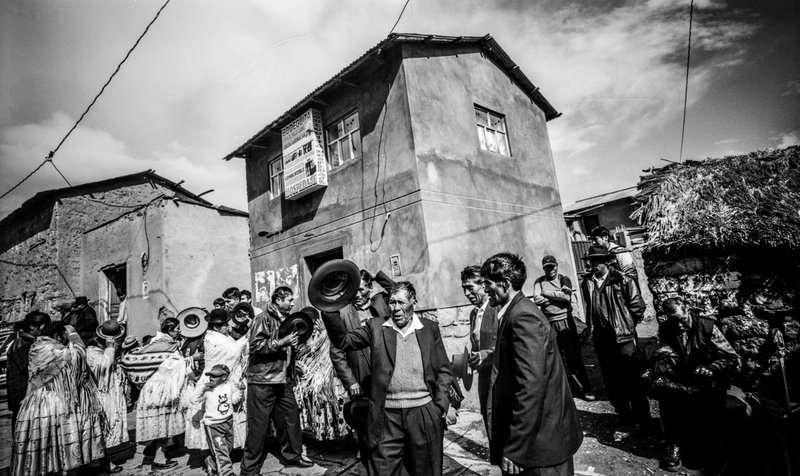 He was a musician and a photographer, and he also published his own small newspaper. 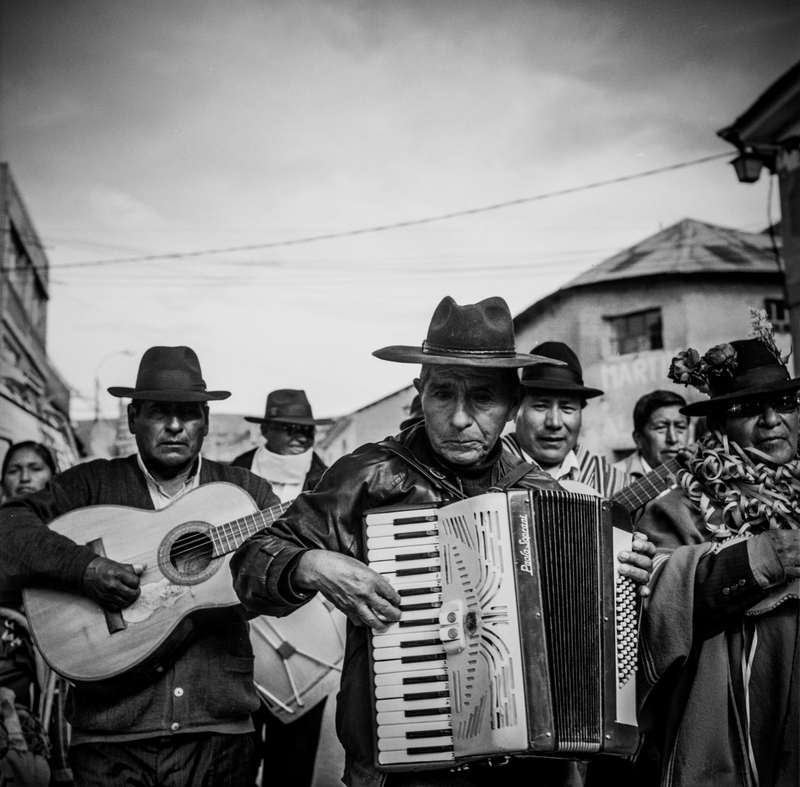 Although no material remains of his work have survived, his memory lives on both in the stories of his love for the people and cultures of Puno passed down to his children and grandchildren, as well as in the lyrics and music of Quisiera ser picaflor, one of the most famous Huayno songs in Peru (Huayno is a traditional Andean musical genre). 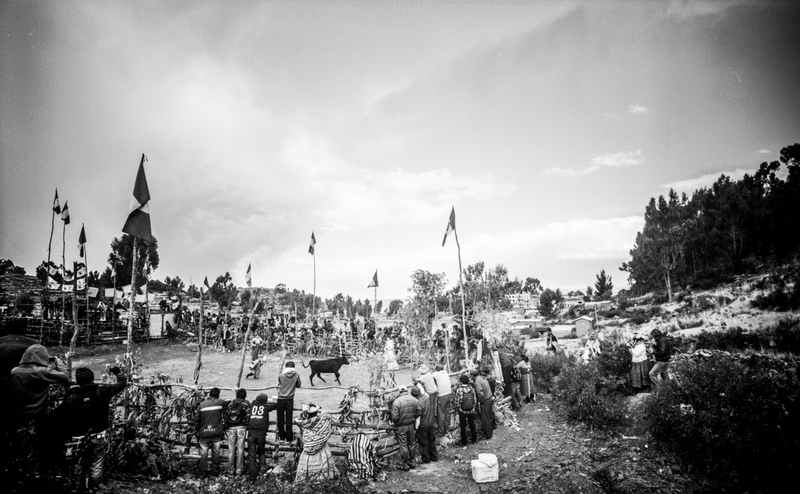 Given that my family moved away from Puno several generations ago, growing up Puno seemed to me like a timeless place of stories and myths rather than a real place. 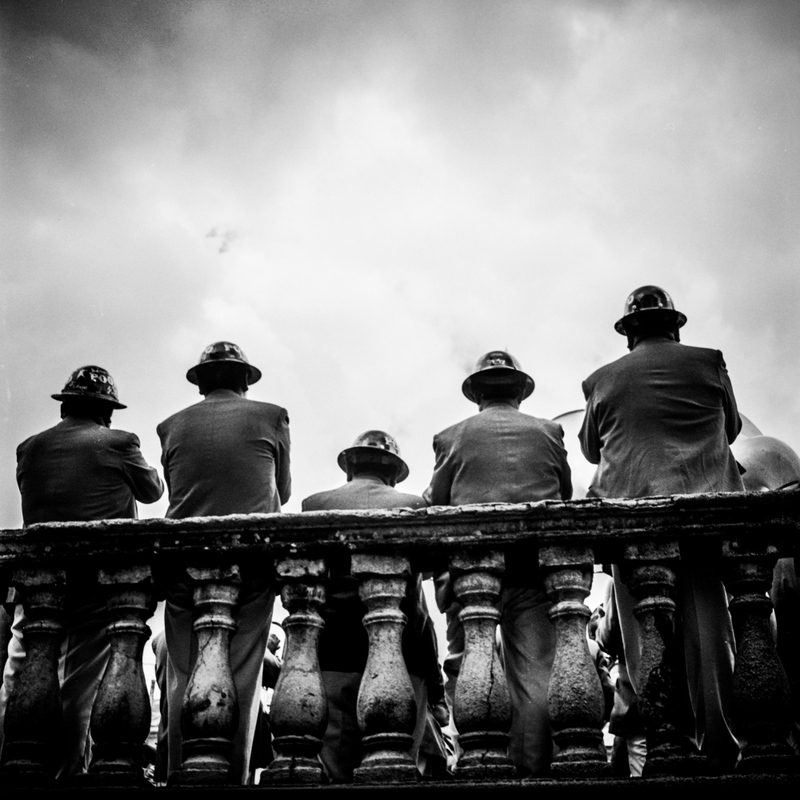 In the century or so since Carlo’s time, the world has drastically changed. 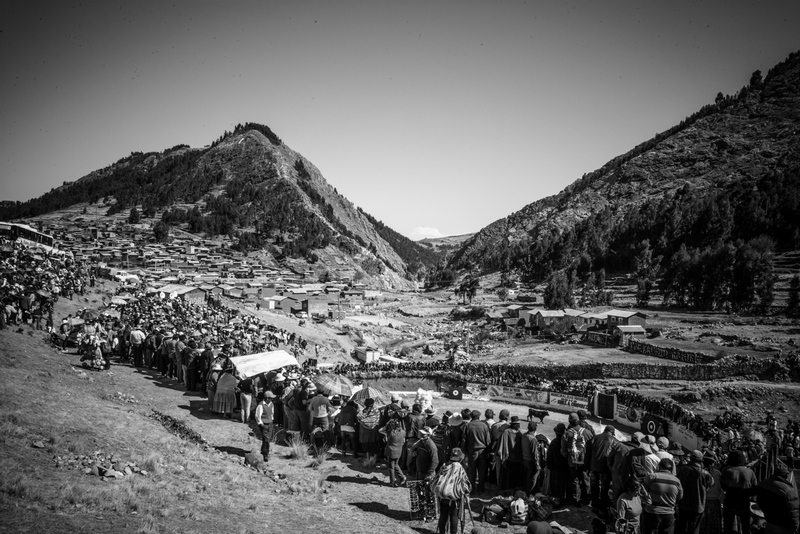 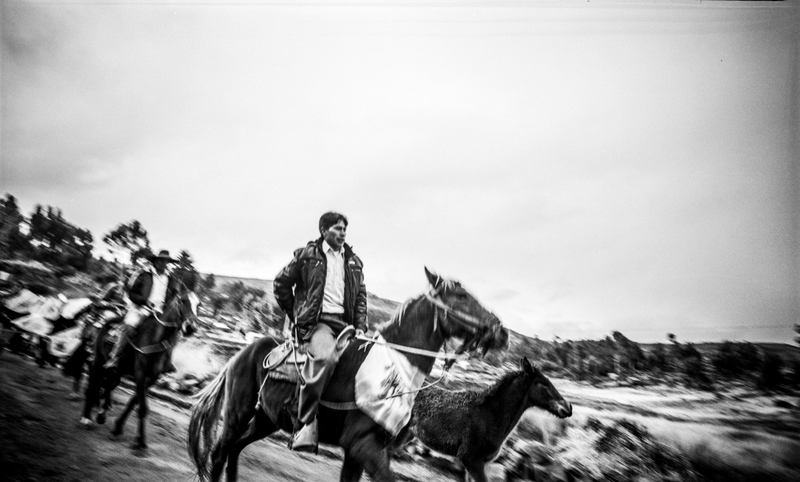 While their relative isolation once slowed the pace of change in rural Andean communities, modern technologies and transportation have connected even tiny villages to the rest of Peru and the entire world. 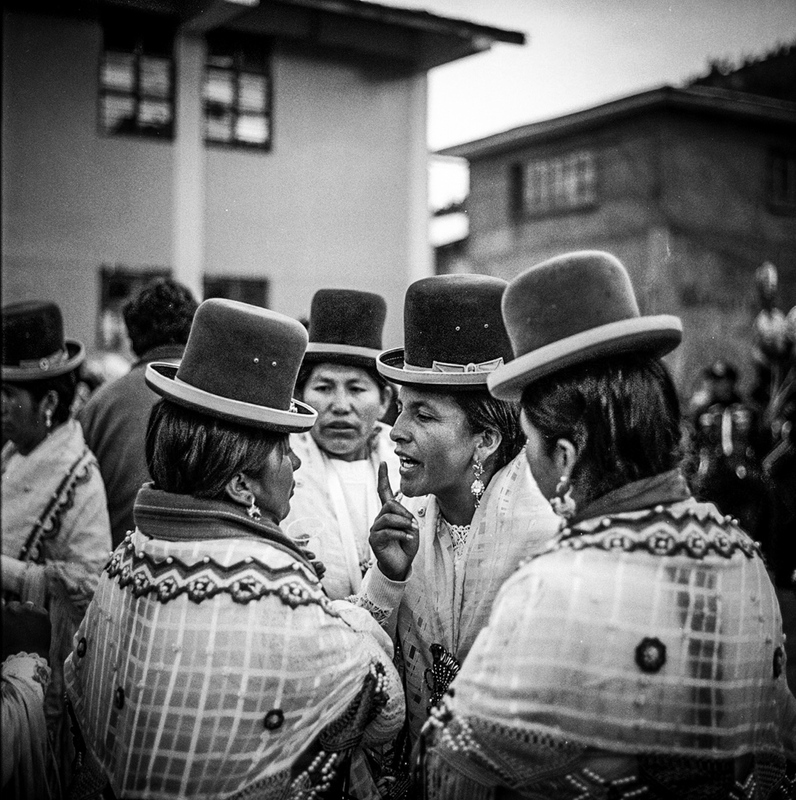 Yet, even in the face of mid-20th century government efforts to ‘civilize’ indigenous peoples, migration to and from urban centers, increased tourism, and the influx of multinational mining companies, many of these communities still manage to hold on to their rich traditions and culture. 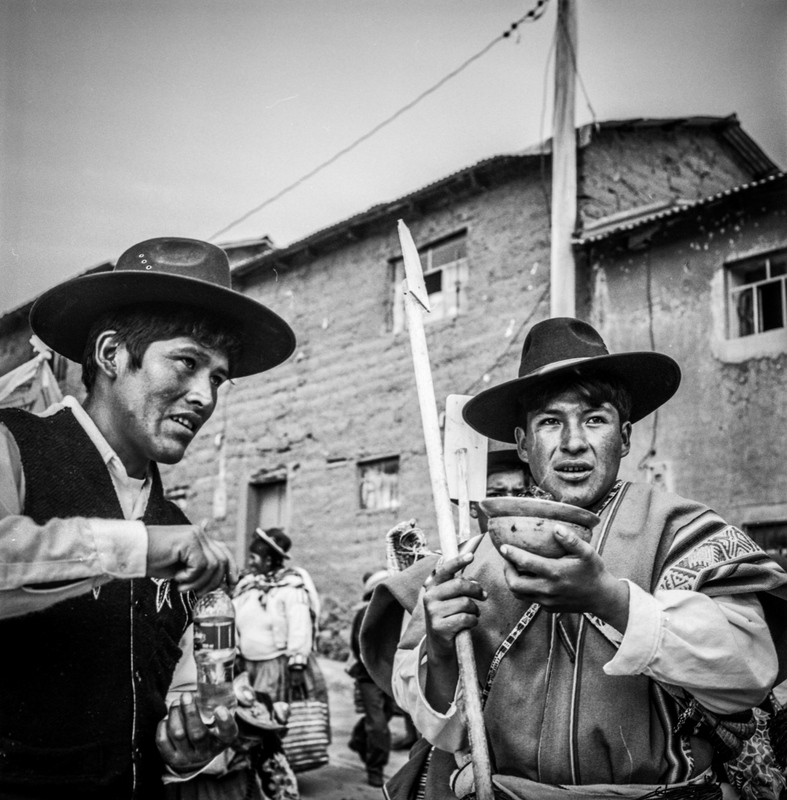 Festivals play a central role in these communities’ cultivation and transmission of culture, sense of tradition, and pride. 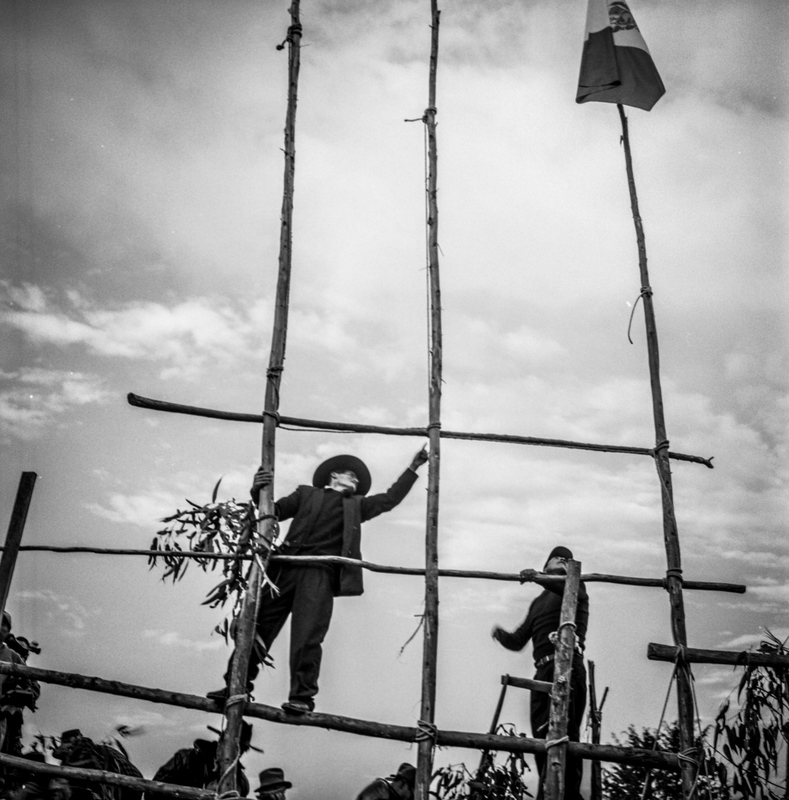 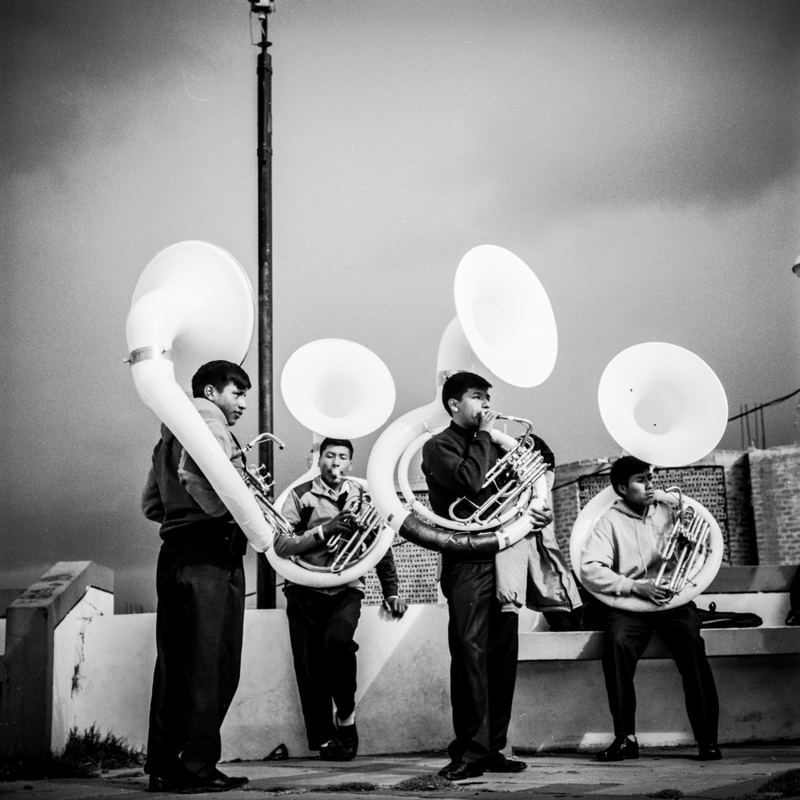 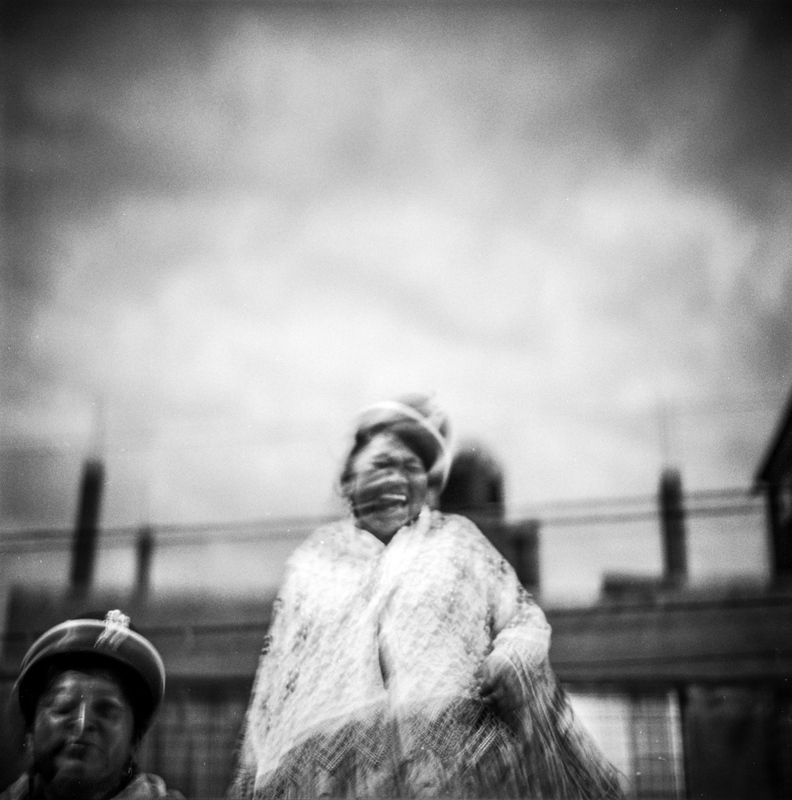 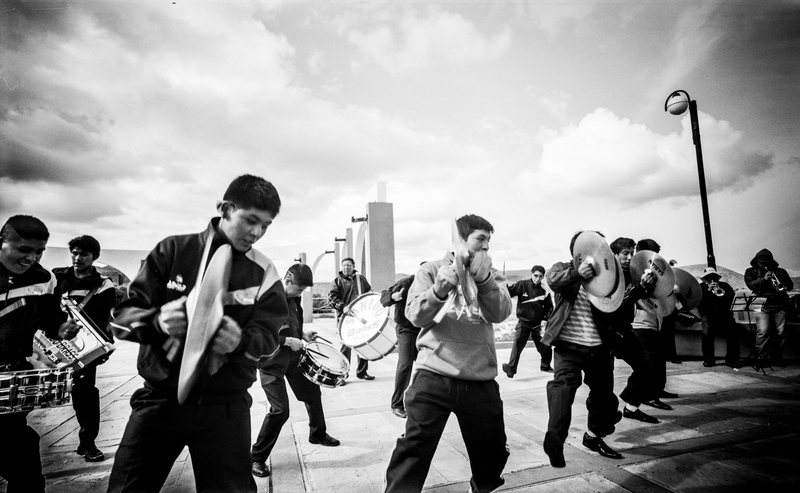 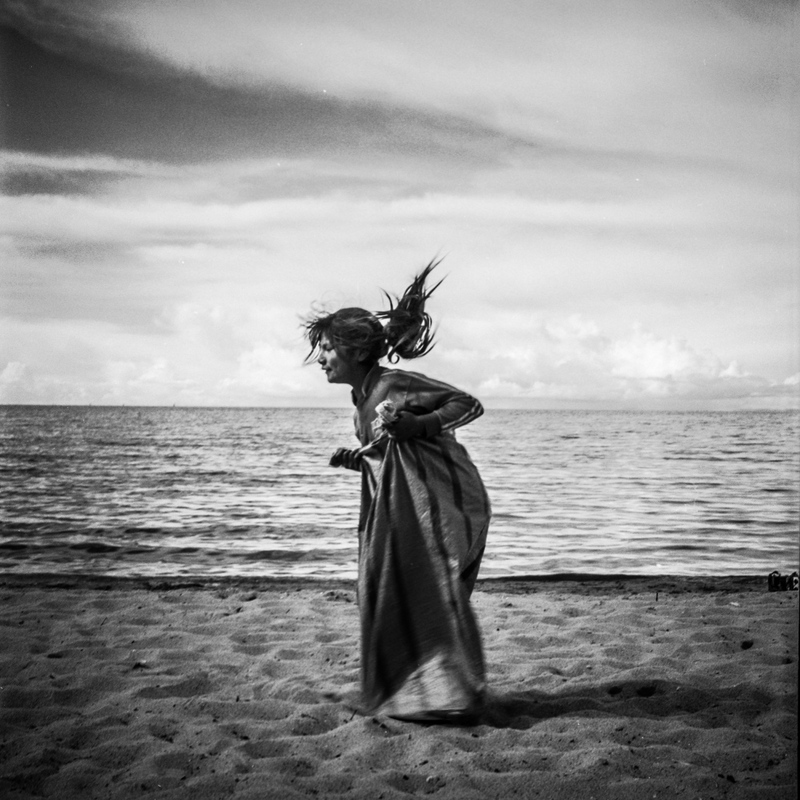 In this project, I photograph festivals, daily life and traditions. 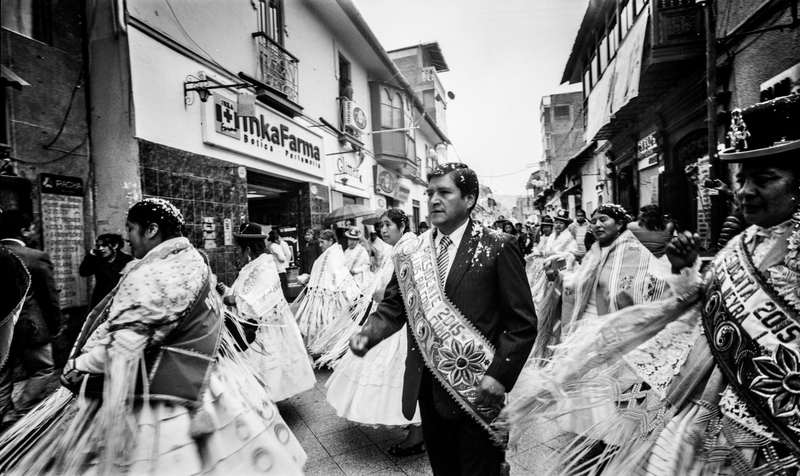 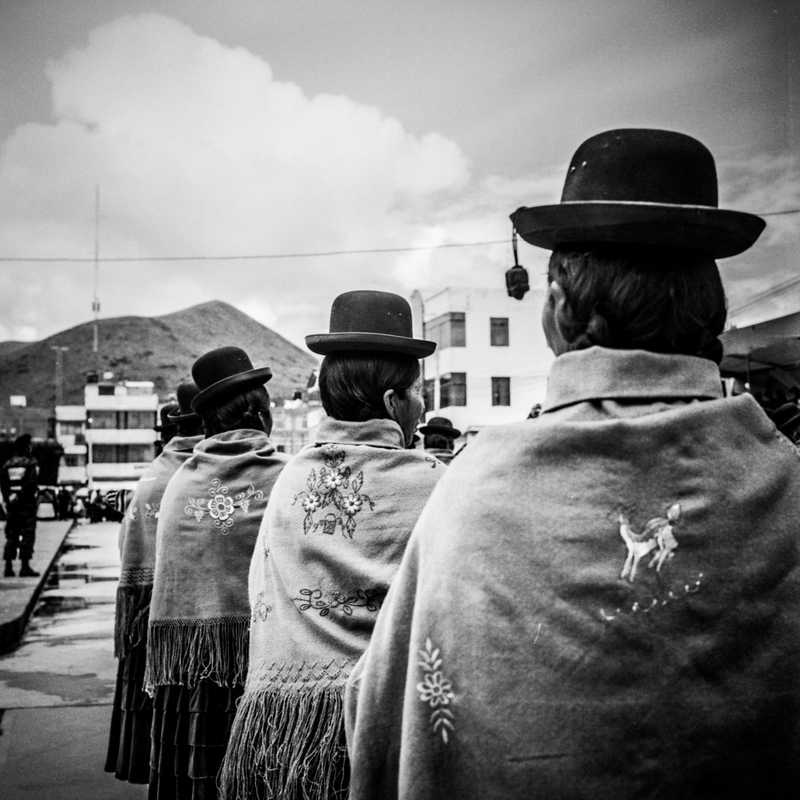 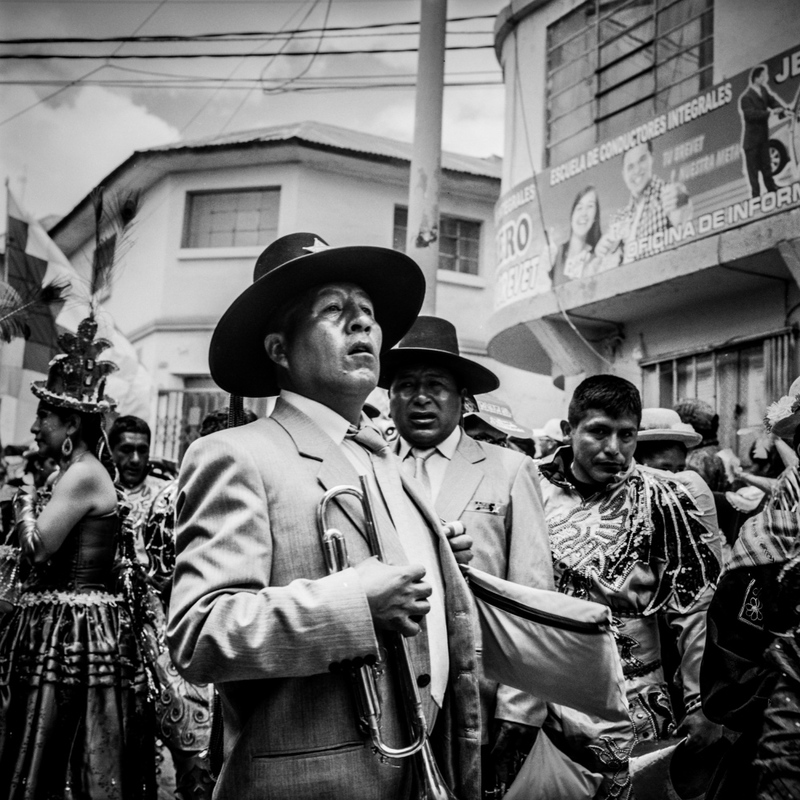 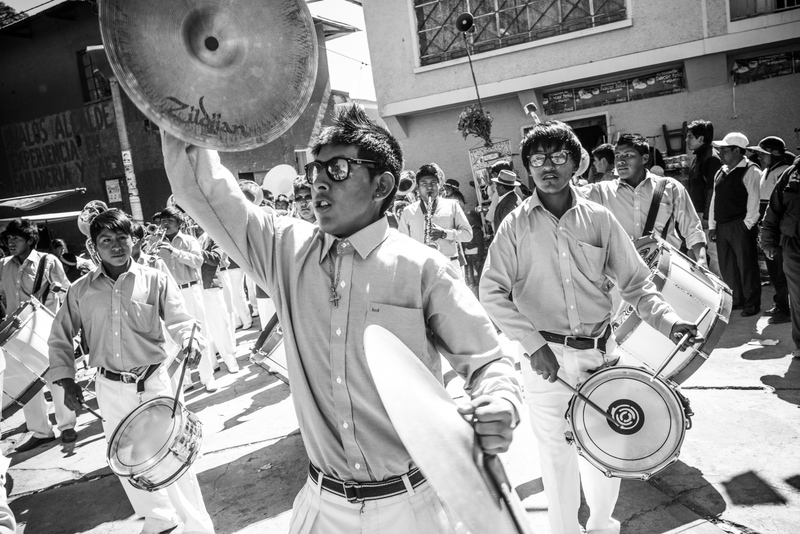 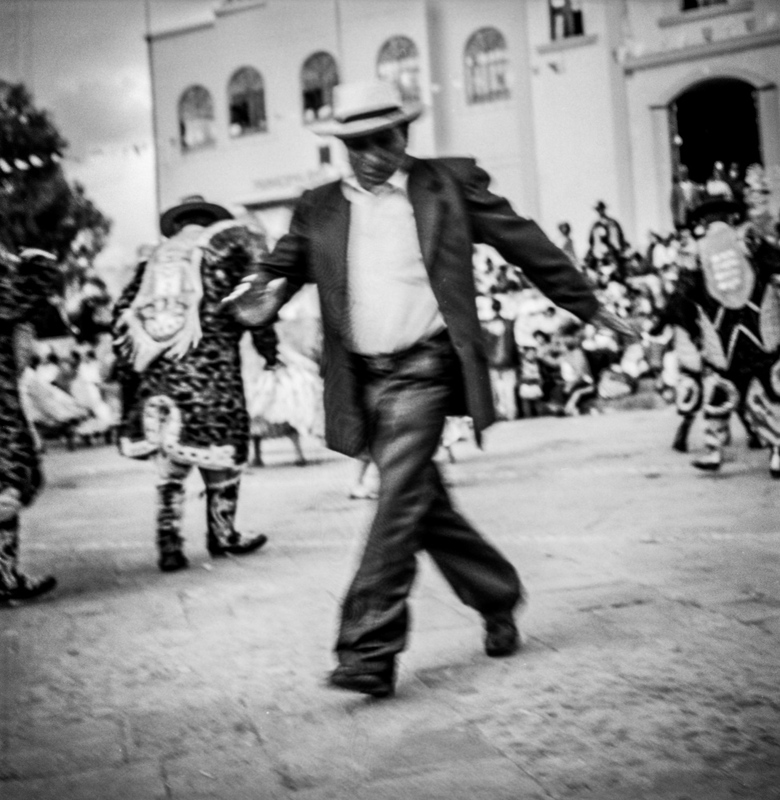 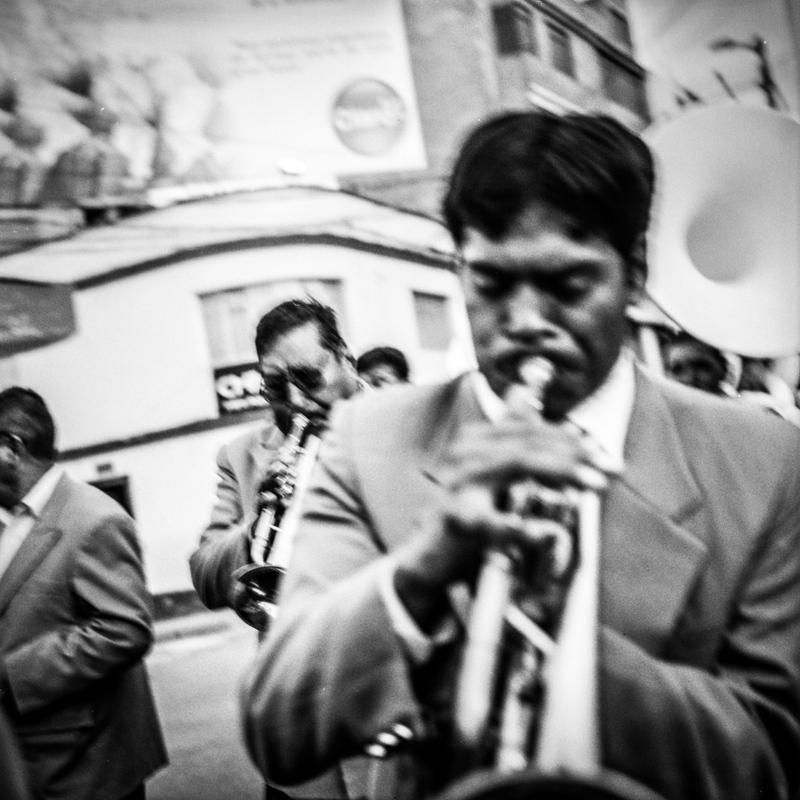 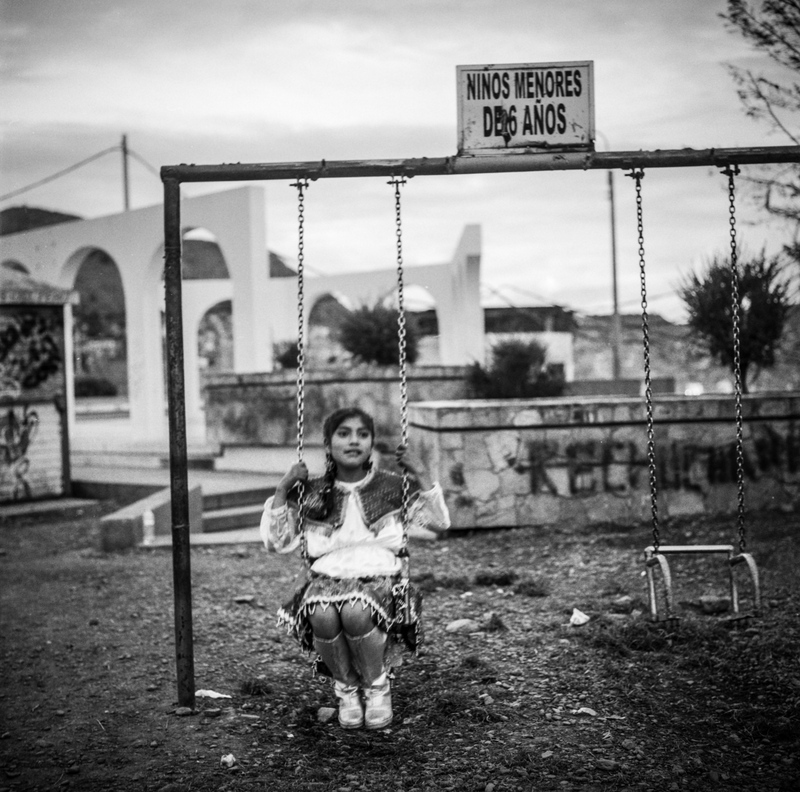 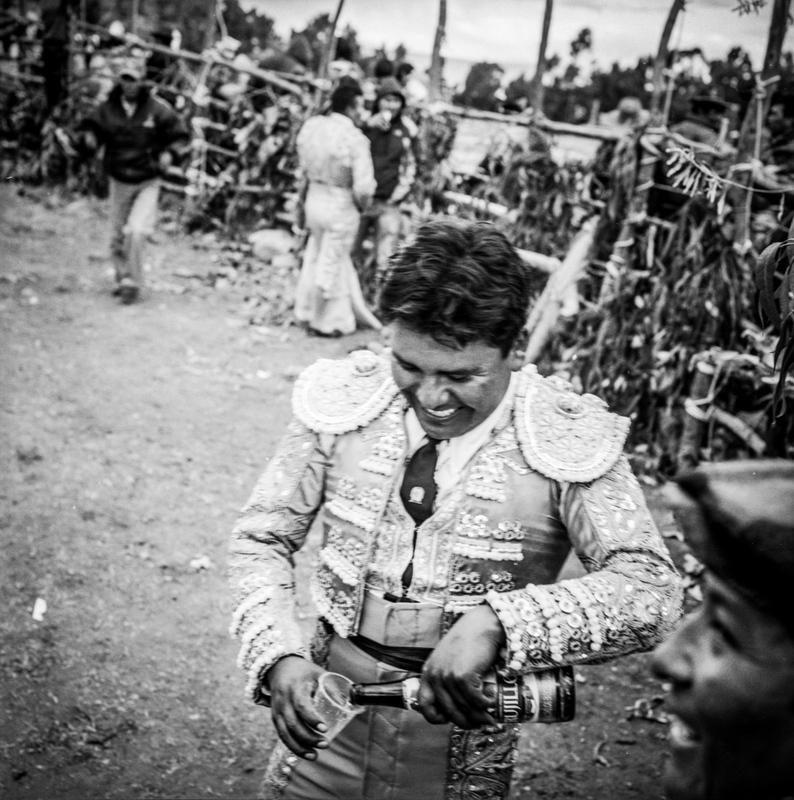 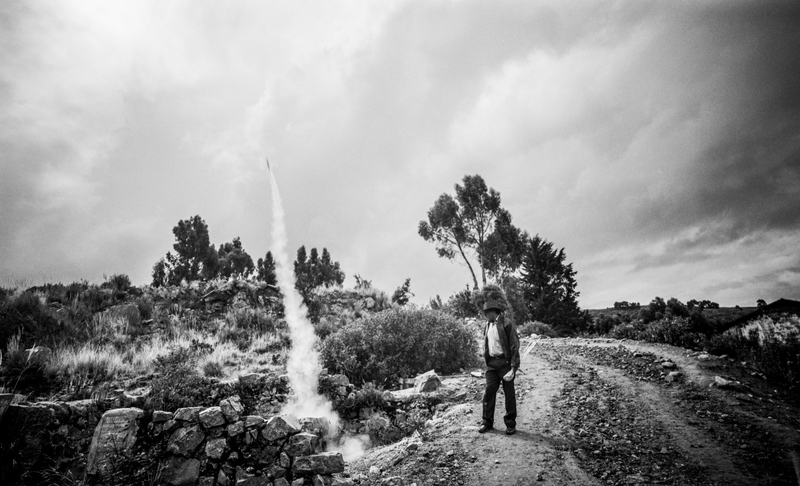 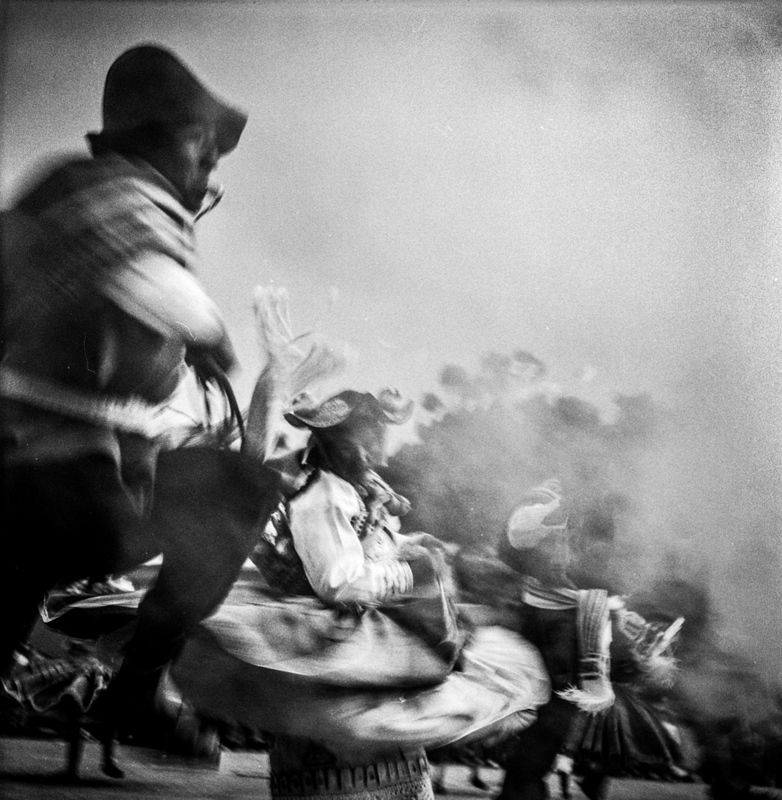 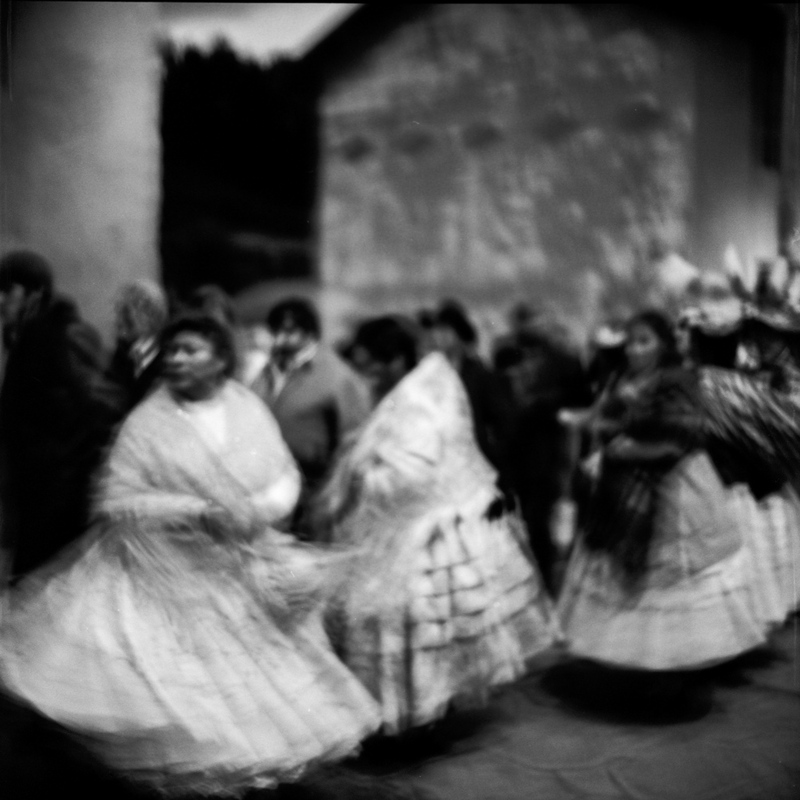 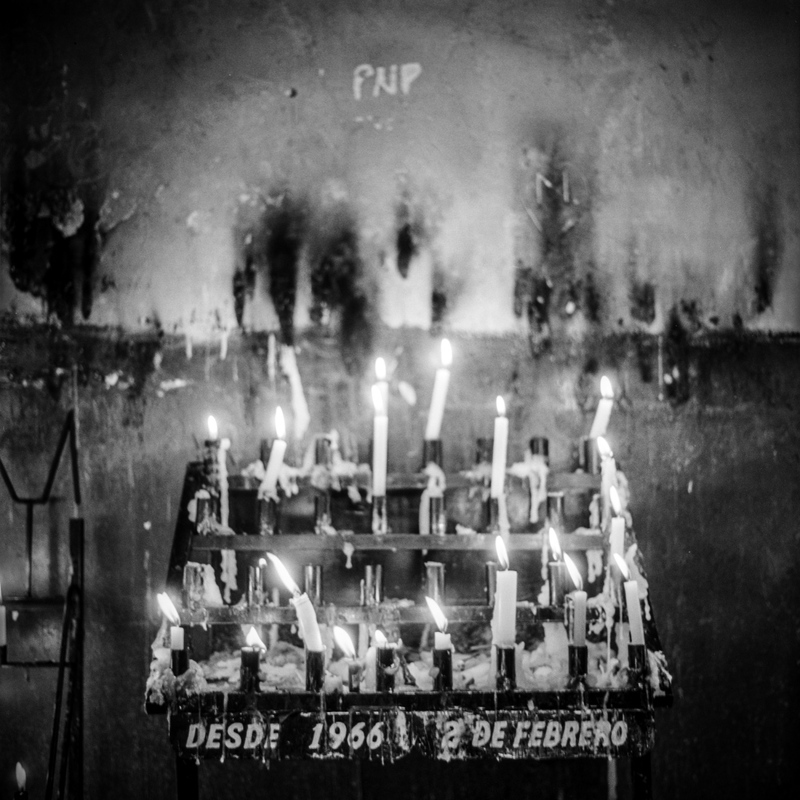 Rather than create an encyclopedic visual documentation of customs, my aim is to capture the emotions and feelings of the people in the community as they celebrate, as well as to capture the love and admiration my great great grandfather had for the people, land and culture of his tierra (homeland).